Thanks for visiting our website. 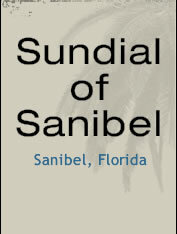 We are the Sundial of Sanibel (or Sundial West ) Condominium Association representing the owners of 266 condominium units located within eleven buildings (A through K). All the condo units at Sundial are individualy owned condominium homes, many of which are available for rent through various rental agencies. Sundial East Condominium Association is a similar condominium association just East of our property. Located between both independent condominium associations is another property that is privately owned and operated. This property is called the Sundial Beach Resort and Spa. As a service to guests visiting our website we have included some useful information on our Guest Information page.